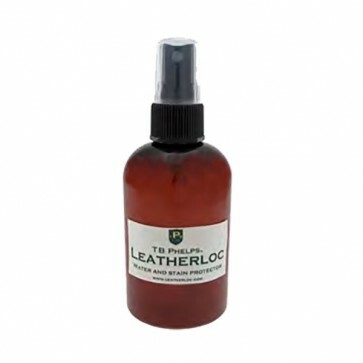 Leather Loc Spray is perfect for most types of leather to help seal, protect and aid with life span of the products. The transparent, invisible finish is sure to protect your products, without altering color. Leather Loc Spray is perfect for most types of leather to help seal, protect and aid with life span of the products. The design of this is focused especially to aid with sueded leather products, such as our Spencer, Verona, and David Saddle buck shoes. The transparent, invisible finish is sure to protect your products, without altering color. Cleans and protects most leather products* from dirt and moisture. Safely seals leather and suede. Dries to a flat, transparent finish. Brush or wipe any loose dirt from leather to be cleaned, spray evenly with Leather Loc, let dry.